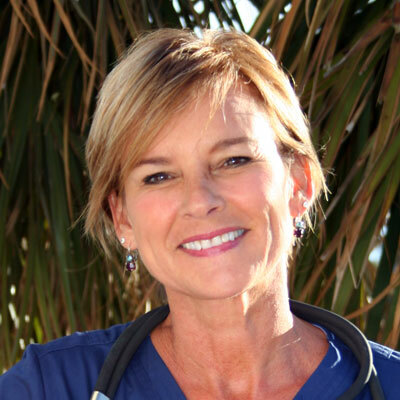 As a home health nurse, I had the unique privilege of witnessing and partaking in an assortment of tactics employed by seniors and their families to better manage medications. 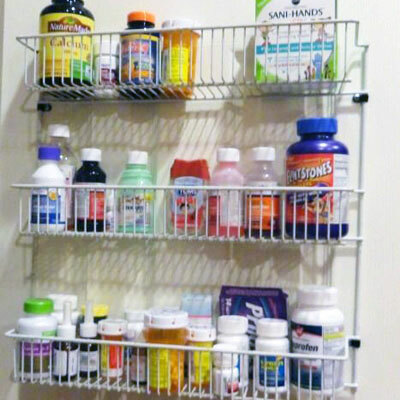 Meticulous organization is fundamental to avoid medication errors. It is imperative to account for the accuracy of medications taken including the dosages, frequencies, and any other apposite factors such as time of day, with or without food, etc. In addition to the meticulous planning of medications, equally as important is finding an approach that will prompt your loved one to remember to take their medications. Moreover, in order to elicit good compliance, it must be a sensible routine that is easy to follow. The key to remember is that what method works for one senior may not work for another. It is common to undergo some trial and error to discover which practice produces the best results for your aging loved one. The following are some successful and practical organizational tips for improving medication management. 1. Always place your senior's medications in a highly visible place to trigger memory. Locating daily medications in a drawer, cabinet, or other discreet location must always be avoided: out of sight, out of mind! Locate daily medications in a highly visible, easily detectable location. For morning routines place medications on the kitchen table, next to a coffee pot, or in the bathroom beside a tooth brush in the morning. For evenings, medications can be put at the bedside on a night stand or again beside a toothbrush to prompt memory. 2. Associate daily activities that your elderly loved one does with taking medications. Linking an activity such as brushing teeth, eating meals, or getting dressed with taking medications is a simple yet very effective way to stimulate memory and encourage medication compliance. 3. Make a list of all your senior's medications, including over the counter medications and nutracuticals such as vitamins and dietary supplements. Clearly note dosages and frequencies. Keep the list current and in plain sight in any highly visible living area: kitchen refrigerator, bulletin board at the front door, taped to the wall next to the tv, or even affixed to a mirror! 4. Buy an automatic pill dispenser to send out alarms multiple times per day. This is especially helpful for your loved one with memory, vision, or hearing impairment. At the prescribed time, the unit will sound a beeping alarm. 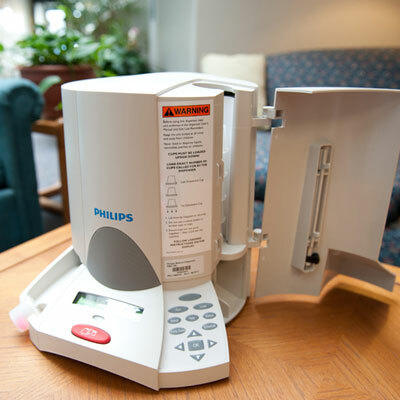 The dispensers can be loaded and locked to avoid mistakes or double-dosing making it practical for loved ones with dementia. Some pill dispensers have flashing lights for those with hearing loss while others make emergency calls to family when alarms go unheeded. 5. Program your senior's smart phone or tablet using a variety of available apps to send alerts when medications are due. This system works well for those who are tech savvy and need a little prompting from time to time. However, the success of this method will depend on whether your loved one keeps their device handy and with them at all times. 6. Another more basic approach of jogging your elderly loved one's memory to take his or her medications timely is to use a traditional timer and/or an alarm clock. The pitfalls of this practice depend on your loved one's responsiveness to an alarm, as well as the need for a responsible person to check and set them regularly. 7. Hire a CNA (certified nurse aide) or an HHA (home health aide) to remind your senior to take his or her medications during the day. The home care worker can monitor and report any medication problems. In addition, the caregiver can be authorized to handle prescription refills for your family. 1. Place prefilled individual medication cups (like those used in hospitals) or other small containers of your preference in designated locations around your senior's home. Examples of good locations include on the kitchen counter, at the bedside, or in the bathroom. 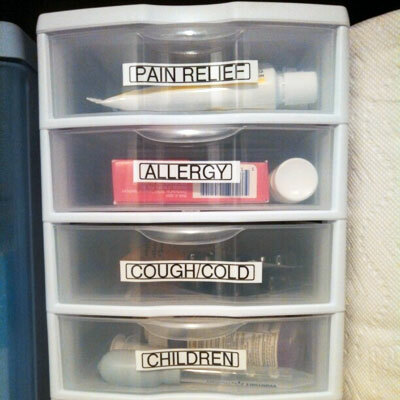 Clearly label each with a marker or sticker designating the day and time to take all the pills within the container. If you're concerned about spillage, simply saran wrap or tinfoil the top closed. 2. 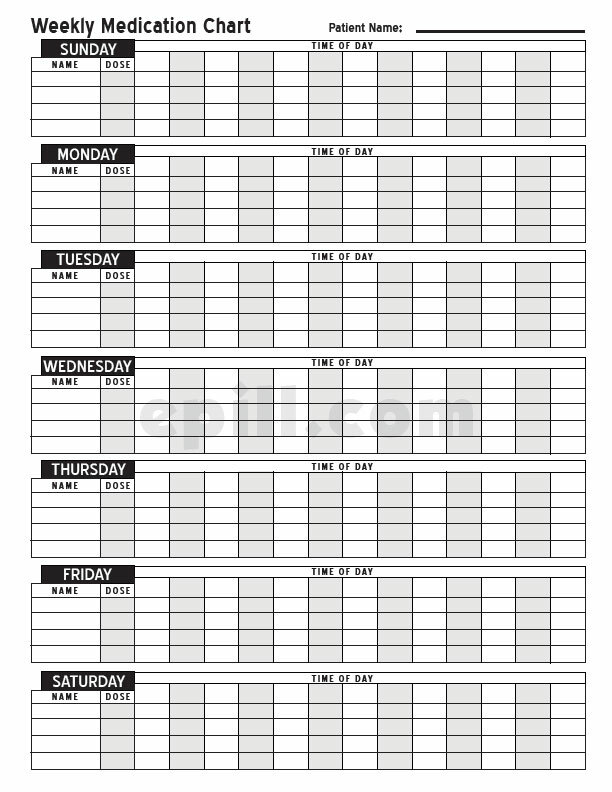 Purchase a calendar or binder for your elderly loved one and their caregiver to document when medications are taken daily. 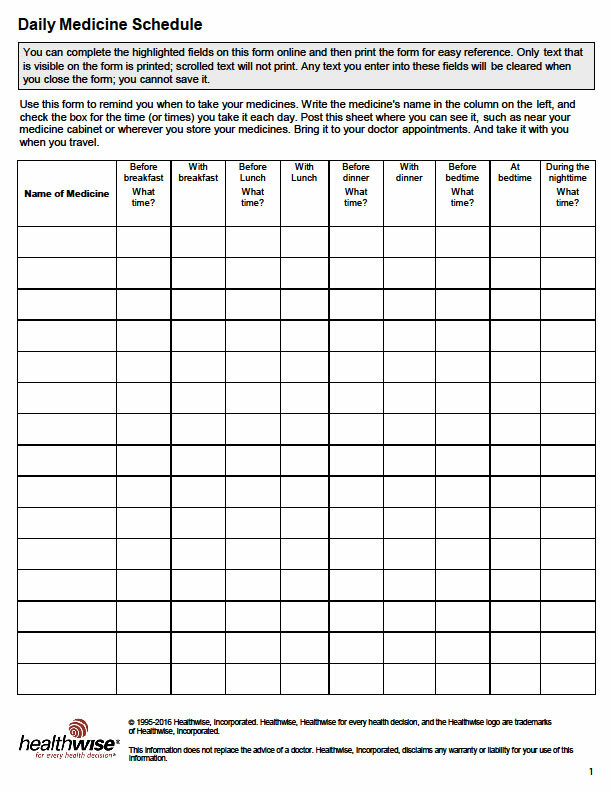 Some like to design a chart of medications and times where they can mark an "X" as each dose as taken. Other seniors and families prefer lists that allow them to cross through or check off the multiple doses throughout the day as completed. 3. Separate the daily medications from the "as needed" ones so not to cause any confusion among your senior. Label the "as needed" drugs specifically with the purpose for them (nausea, headache, etc.) and group them together in bins, baskets, or on a tiered carousel. As needed medications include medications (prescribed or over the counter) related to stomach and gastrointestional issues, pain, allergy, and cold symptoms. 4. 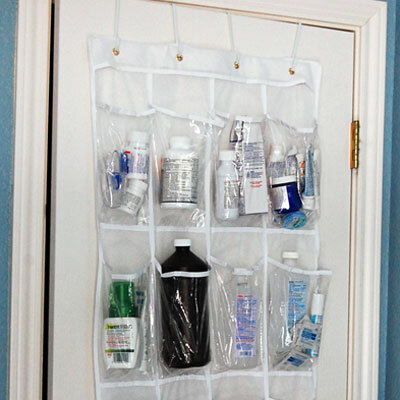 Attach a multi-level pantry rack on the back of a door or hang a transparent shoe holder to store medication bottles for easy viewing. 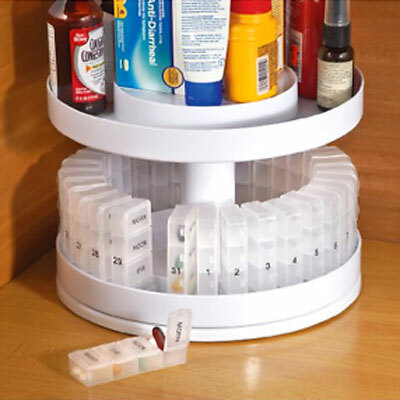 Medication bottles can also be displayed in mini plastic storage drawers for easy identification. Group similar medications on same rows or bins for easy access. 5. Label each medication bottle clearly, in large numbers, with the quantity and time of day to be taken. This is for better visibility to help seniors that may struggle to read prescription bottles. Further differentiate medications with colored coded bottles, such as red bottles for heart or blood pressure medications and blue for cold or allergy medication. 6. Designate a container to travel with your elderly loved one's medications on trips or to doctor appointments. My father liked using a sturdy old metal lunch box and one of my elderly patients who was a fisherman made use of a plastic tackle box. Women often find a cosmetic bag or travel jewelry box handy for transporting their medications. 7. Lastly, and most practical, is to purchase a "pill box" to organize your senior's medications. The pill organizers come in all shapes and sizes so be sure to get one that accommodates your elderly loved one's medications. A box marked with each day of the week is adequate for those who only take a daily dose. Others need larger square or round organizers with 3, 4, and even upwards of 6 boxes to manage multiple frequencies. Keep in mind that an empty compartment in a pill box also serves as a reminder that medications have been taken.